Finally I can show the project I was involved in last year!!! My girlfriend, Natalya wanted something similar. So the work began: Natalya made the dress pattern, Victoria did the applique design and digitized it and I did the embroidery for the fruit part. 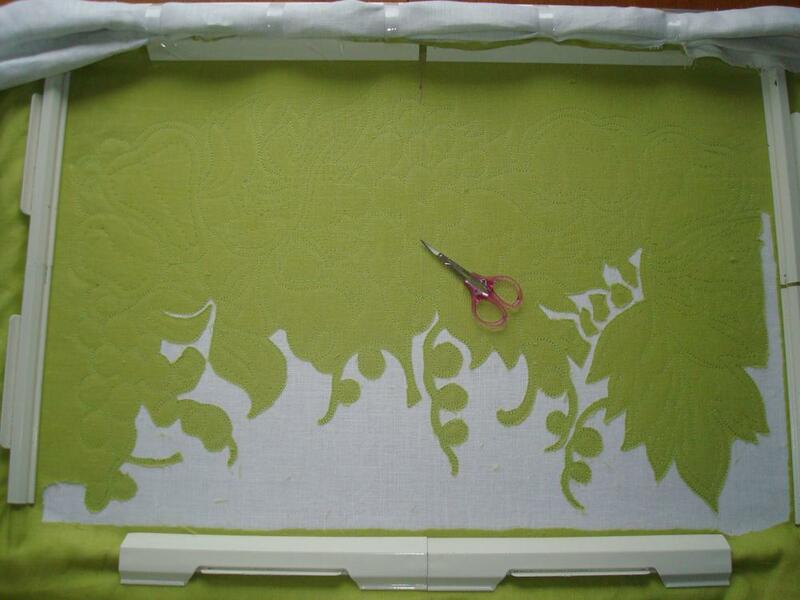 Embroider the “keep” stitches first to ensure both fabrics were stitched together and couldn’t move too much. This created an outline of the design, ready for cutting. We did this while embroidery was still in the embroidery machine hoop. Embroidered the satin stitch outline of the applique fruits. Clever machine! Natalya embroidered lattice parts on her domestic machine and finished the dress. Here it is – and with all that wonderful fruit embroidery what else could we call it other than the Fruit Cocktail Dress!! !